City of Saitama to offer translation for foreigners' emergency calls (Japan Times) - A good idea, I think. Japan faces a long, hot, nuclear-free summer (Japan Times) - Will we survive? So far I haven't heard anything about this summer being as hot as the last two, so maybe it won't be too bad. (This comes from someone who abhors winter and looks forward to the warm months.) At least we know now that eel prices will skyrocket. Government doesn't plan to issue mandatory power-saving order to western Japan (Japan Times) - So far, so good. If you're a cheapskate and you live in Tokyo, you might appreciate this newer site, Tokyo Cheapo. Something skittering across your floor? You could try using a lint roller to capture and get rid of it. Probably won't work for cockroaches, though. Trying to navigate the hundreds of Japanese study resources? Language in Review, a new website, is trying to make things easier for you. Aichi school's 'cyclist's license' keeping kids safe (Japan Times) - With how often kids nearly almost ride their bikes without paying attention to their surroundings (and many near collisions as a result), I honestly think this is a good idea. Living out in the countryside? You might want to check out and contribute to this new website devoted to all things rural Japan -- The Inaka Project. 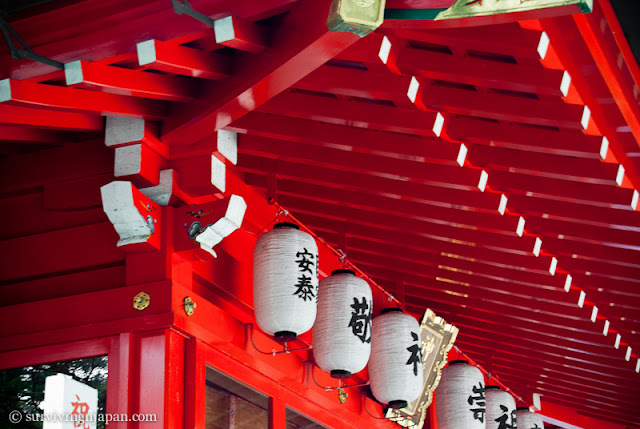 Planning your first trip to Tokyo? Here are some things to keep in mind. LIXIL Launches New Shower that Reduces Water Use by 48% (Japan for Sustainability) - Let's be clear, it reduces water AND maintains water pressure. That's the important thing, right? "Miracle Apples" and Natural Cultivation (Japan for Sustainability) - The title is utterly boring, but the article fascinated me all the way through to the end, and it's difficult for me to stay focused all the way through long articles online, but this idea of "natural cultivation" is a good one. The farmer in the article has been growing apples since 1970 and started out using pesticides (which actually burned his skin if he got it on his hands), but later switched to natural cultivation. Apples aren't native to Japan and it's difficult to grow them here because of the heat and humidity during summer, so most farmers apparently use pesticides for them. Sounds yummy, doesn't it? Biting into a juicy apple with pesticides all over it! And, what's that, Japan is one of the largest pesticide users in the world? Food for thought (no pun intended). "Plants absorb nitrogen, which is essential for plant growth. That is why all fertilizers, both chemical and organic, contain a large amount of nitrogen. Nitrogen breaks down into nitrate nitrogen (nitrates) in soil, and then is absorbed by plants. Though useful to plants, nitrates can be harmful to human beings: infants have died from methemoglobinemia, a blood disease that can be caused by ingesting nitrates in drinking water, due to excessive intake of nitrates. Thus, people have become concerned about the contamination of soil, water and agricultural products by nitrates in fertilizers. The EU has safety standards for nitrates contained in vegetables of up to about 2500ppm, although this varies depending on the season or kind of vegetable. In contrast, Japan has standards for tap water, but no regulations for vegetables. Some vegetables contain over 2500ppm of nitrates. Most vegetables grown with Kimura's natural cultivation method contain less than 500ppm of nitrates. Some contain only single digit levels." Tepco to be nationalized on July 25 with ¥1 trillion transaction (Japan Times) - This probably comes as no surprise. Butcher serves up 'cesium beef' at rare tasting (Japan Times) - The nuclear disaster events have proved a catch-22 for those raising, selling and serving free range beef, sadly. The World’s First Radiation Counter Cellphone Announced In Japan (Asiajin) - Wonder how well this actually works.